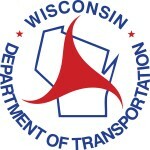 In order to avoid the potential for gasoline and diesel shortages during the temporary closing of the West Shore Pipeline, the Wisconsin Departments of Transportation (WisDOT) and Administration (DOA) have determined an energy emergency exists and have authorized motor carriers to transport overweight loads of petroleum products such as fuel and oil, effective immediately through June 4, 2016. This authorization comes after Governor Walker issued Executive Order 197 earlier this month declaring an Energy Emergency. This ensures motor carriers are able to travel into and throughout the state so that any potential gasoline and diesel shortages are avoided, as demand is high this time of year with increased travel. It will also help businesses continue normal operations. During an energy emergency, after consultation with DOA, WisDOT has elected to grant authorized weights allowed and waives the divisible load limitation and authorizes for a period not to exceed 30 days the operation of overweight vehicles, having a registered gross weight of 50,000 pounds or more and carrying energy resources of fuel, regardless of the highways involved to conserve energy. Such authorization may only allow weights not more than 10 percent greater than the gross axle and axle combination weight limitations, and not more than 15 percent greater than the gross vehicle weight limitations under state law.